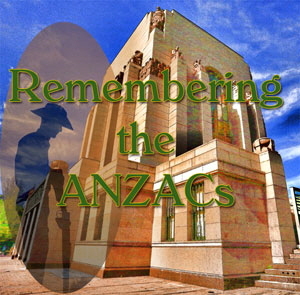 … Gallipoli has become a defining moment in the history of both Australia and New Zealand, revealing characteristics that both countries have used to define their soldiers: endurance, determination, initiative and ‘mateship’. It’s St George’s Day – and this year it comes with a promise that it will be made into a national holiday. Sadly the promise is subject to the Labour Party being in government – and is only a promise; not a guaranteed outcome. The Labour party also promise to make the other three patron saints’ days holidays – as part of their land of milk and money which would blossom if they were in power … But then everyone believes that politicians never break their promises – don’t they? However back in the present the Labour opposition are instead promoting even closers ties to the EU. More tied than the toxic Dead Donkey deal of Mrs May. So we should sell our freedom to Brussels in exchange for an extra day off … bargain! At the European Central Bank the current president, Mario Draghi, is already preparing for his departure on 31 October 2019 – and it looks like he will make it out before his policy of issuing of trillions of new euros – mainly as cheap loans to EU corporations – comes to a sticky end. While at the British equivalent, the Bank of England, governor Mark Carney, is staying on until January 2020; to make sure that Brexit goes to plan. However what is not clear is exactly whose plan that is – even though Philip Hammond has something in mind. However that other key Brexit figure Donald Franciszek Tusk, president of the European Council, will be around for another month after Juncker; not ending his term until 30 November 2019. And the can will have to be kicked further towards Christmas for both posts to have changed. So that’s four important figures that we expect to leave soon – yet we are totally in the dark about our national politicians. The local government elections are just next week and even though they do not effect Westminster directly the results will send a message to the parties about public sentiment. 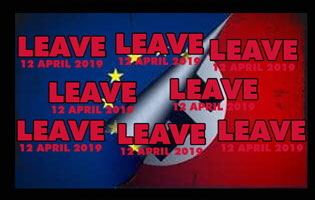 More importantly the EU elections follow on just three weeks later and the indications are that the public will vent their feelings on our failure to leave on that much-promised March date. The Conservatives are getting very worried. It’s hard to imagine but if these EU elections do go ahead in the UK then the UK government will look even more out of touch and gutless. This potential major embarrassment to the government means that all sorts of cunning plans and under the counter exchanges will be tried to avoid them taking place – or, if they do, to restrict the powers of UK MEPs in Brussels. However given the level of incompetence in Westminster it may be Brussels that acts on this instead. But the big question avoided so far is – when is time up for Mrs May? Stories of her demise have been floated repeatedly without result. Despite all those defeats and numerous resignations our PM blunders on quite unable, it seems, to accept anything other than getting her deal agreed. A deal so toxic for our grandchildren that it must be stopped from ever reaching our statute books. What’s in it for her? We may never know. Rarely has such a diverse group of Grandads experienced such a degree of contempt and disgust as they all now have for the political classes. Everyone who voted for change has been comprehensively let-down and so many of those who voted to stay-as-we-were find themselves used and deceived. Few, if any, of those who care for their grandchildren can claim to be happy with today’s dire situation or their future prospects. After all the recent commemorations of our fathers and grandfathers who were lost fighting for our freedoms we now have to endure these shallow, vain, corrupt politicians selling us into political and financial slavery. In practical terms there is nothing we can now do – legally – other than vote differently at each future opportunity. Every other action, short of civil disobedience, we can now be sure will be totally ignored. No marches, petitions, postings, discussions or complaints via any media channel have made – or will make – any difference. 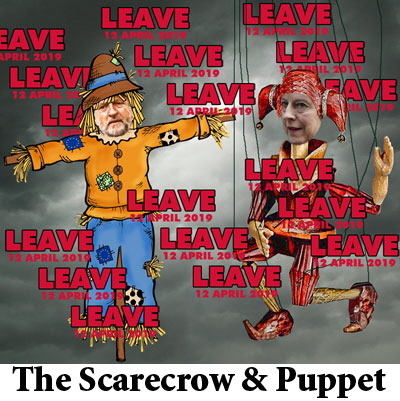 So our public contributions are suspended .. we’re off to be candidates in the EU elections – huge salaries and expenses, big pensions and blocked from doing anything important ..
What a bunch of useless no-hopers we have to suffer as being in charge of national decisions at Westminster. With the exception of a worryingly small group with guts and common sense, the membership of parliament has been shown to be not good enough to be in politics at any level. If their latest batch of plans turn into reality then leaving without an EU deal will be banned and Mrs May will be begging Brussels again for yet another delay to the implementation date. For what? To accept any deal – no matter how destructive? How much more absurd can Westminster become? How can a rogue leader be allowed to continue damaging so much? And having caused so many problems for the future then aim to jump ship! How can vested interests be allowed to overrule democracy in such a blatantly obvious way? 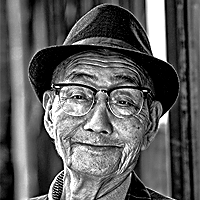 On 21-Feb-2019 a Grandad contributor posted a question Can Anyone Be Trusted? And now, with the passage of time, that question is gradually being answered. To quote – According to Prime Minster May – and her cabinet – if any EU leave deal fails to get enough support in yet another vote rerun then the UK’s exit day will be 29-Mar-2019. Now we know that her deal failed, that leaving without a deal was not in her plans and that leaving on the promised date was to be ignored. Three critical failures in a single sentence of promises made by Mrs May show that there can be little remaining trust in her by the British voters. The next sentence back in February was .. according to His Ollyness The Mekon, not accepting a deal will put back our leaving date – not just by a few days but by an extended period. This part of the question has still ten days to run before there is certainty however we should see some signs soon if this is indeed the hidden agenda. Then there needs to be judgement calls made about who this plan came from, how long has it been in place and who knew in advance? But as things stand our Prime Minister’s official statements are running a very poor second to a civil servant’s bar room briefings when it comes to trust and accuracy. Westminster and Whitehall kick-off another week of work on that critically important task – deckchair rearrangement. A skill that they have struggled with before – but which now should be much improved by some dedicated training classes. The multi-million pound contract for these classes has been awarded to Harland & Wolff – despite strong competition from the Delorean Consultancy Group and British Leyland. And a spokesman for H&W said our long involvement in deckchair management is unequaled throughout Europe – and indeed the world. Sadly our linked iceberg avoidance system was overlooked by the Treasury; but we will try again.